Cruisers are responsible for their own navigation and safety. The aim of the Criccieth Cruise is to get ready for the season with a 'Shake Up' cruise, cruising together to a destination. Maybe anchoring will be possible, weather permitting. On our return to Pwllheli why not get together at the Sailing Club for a drink and chat. Depart Marina 11ish. Boats drawing 1.7m should return before 1600 at Pwllheli. Great to receive such fantastic interest in our first Cruise of the season. SE winds were roaring and there was a threat of the whole Cruise being cancelled especially as the entrance to the Harbour was challenging. Such was the support for the Cruise, and weather permitting, we would have had over a dozen boats out there. Due to the weather, boat owners doubled up to ensure that the Cruise went ahead, Jetstream 405 joining Blue Jay, Sea Otter and Last Orders joining Tilia and also Cognac sailing in fine style. Cognac on the horizon. 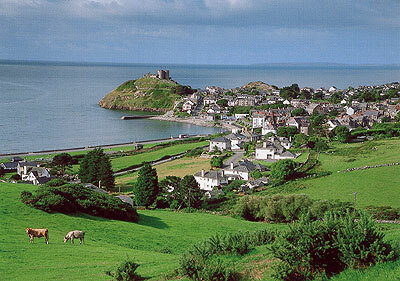 Criccieth destination was achieved. 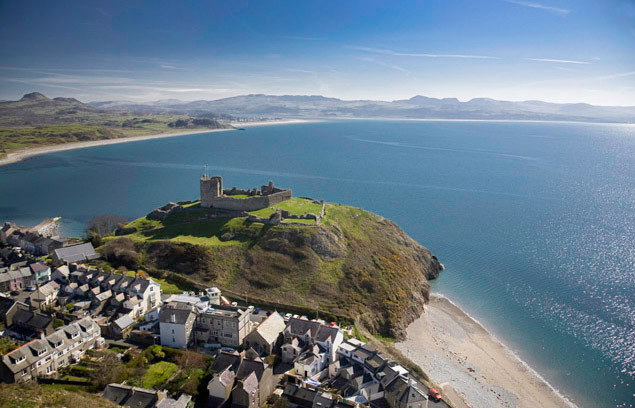 Mark and Jo arrived at Criccieth by another method of travel. Rafting Up Cruise at Pwllheli Marina. CHANGE OF PLAN DUE TO STRONG WINDS FORECAST. BRING YOUR OWN TIPPLE AND GLASSES OR JUST COME FOR THE SOCIAL SIDE. WITH THE OPTION OF MEETING UP LATER ON OTHER PEOPLE'S BOATS!! LOOK FOR THE PINK BALOONS!!!!! "Let's do it in style"
Aim: Get to know each other at the beginning of the season, on each others boats. Discuss sailing plans etc. Yes, at OUR HOME BASE. Rafting up is one of the things cruising sailors do more of than any other sailing / motor group. Rafting up can be a good experience, a very pleasurable Social Event. "We meet, greet and enjoy" : is the phrase of the day. Maybe not quite a 'Booze Cruise' , however 'to be or not to be' -is the individuals choice of course as is everything in the world of Cruising. We will all be there to assist each other to make it 'hassle/ stress free', regardless of the weather. More details to follow regarding location at the Marina. fenders - at least two good sized ones. lines of adequate strength, generally 12mm is OK but bigger boats may carry bigger line. You must have a bow line, a stern line and at least two other lines to act as springs. All lines should be of sufficient lenght to go around your neighbour's cleat and have the end returned to you for securing. Adequate deck cleats or suitable tie-on points are a must. Ask first - or be invited. Never come alongside another boat, however well you know the people, and simply throw a line on the deck. After you have been invited to raft up, stand off until you have your fenders in position and your lines ready, one end tied on to a cleat and the lines coiled for heaving. The spring lines should be at hand in the cockpit or on the deck, ready for use. Do not expect the host vessel to provide fenders or lines. Make sure you have the fenders and lines on the correct side of the boat according to the host's wishes. Lines can be made fast to cleats or winches or to any other strong points that are intended to take side loads. Make sure the lines are taught enough to hold the boats snugly together and that the fenders are properly positioned to prefent hull contact. Check the mooring lines and fenders regularly and adjust them to keep the boats snugly together. Springs then stern then bow, after you have started the engine and made sure the cooling water is OK.
Harbour to Harbour 'Meet and Greet' - A REAL TREAT! Due to the weather the Raft Up could not take place HOWEVER that didn't ruin our day. Alternative arrangements proved to be a GREAT SUCCESS. Meeting at The Plas Menai Suite for a 'Meet and Greet' . 35 cruisers started off by enjoying the hospitality on Imladris, Bull Dog and Termagant before continuing the socialising on other boats in the Marina. A wonderful time was had by all. Thanks to Hafan Pwllheli Marina for ensuring that there was sufficient room for the Raft Up and being supportive to our Event. This is an Impromptu Cruise since the weather is looking fairly good for the weekend, at the moment. If interested, meet at the club on Thursday night at 7pm for final arrangements. 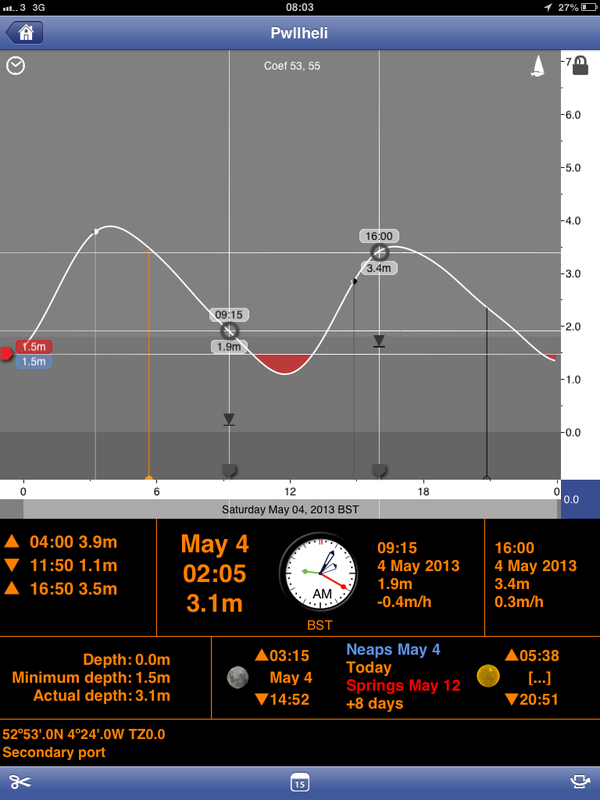 Power Boats will leave dependant on speed and ETA. We will use VHF Channel 8 for communication on the day . Sorry but we have had to CANCEL this Cruise due to a poor weather forecast . This was the 'Alternative Cruise' arrangements to the Aberystwyth Cruise, which was cancelled due to the adverse weather forecast on Saturday May the 4th. A pick up at the train station at Pwllheli 9.34a.m which took us to Aberdyfi was the 'Game Plan'. We also had a couple joining the train at Porthmadog. After breathtaking views of the coast and taking in outstanding views of Cardigan Bay , as well as of course, analysing the 'white horses' and wind strength -compulsory for any sea man! We arrived at Aberdyfi - an idyllic village. A coastal walk to the 'Half Way House' ,so to speak, at the Dovey Inn to have a coffee or drink. Everyone from there on made their own decision of how they wanted to spend the day. As Penhelyg Hotel is at the other end of the village, most of the 'gang' decided to go there for lunch, however, they couldn't accommodate our number of enthusiastic mariners that lunch time- being Bank Hols- so we headed back to the welcoming environment of the "Dovey". A lovely lunch, for those that had decided to eat there, then following a reminiscing outlook over the water we all caught the train, 2 hours earlier than predicted at Penhelyg. A few decided to make their way back to Pwllheli on the 3.11p.m connection, but a group decided to drop off and visit Barmouth, before returning to Pwllheli. After watching a sea rescue by the RNLI, at Barmouth, we were welcomed to the Meirioneth Sailing Club and viewed the harbour, which looked inviting in the sunshine , discussed it's attractions and also the restrictions,we as seamen/women would have to consider. A steady walk back to catch the train, which was alive with partygoers etc. Well, "don't try and beat them- join them" as the saying goes. So a few wines on the journey was a classy end to the day on our return to Pwllheli. On our return to Pwllheli, Allports Chippy produced their usual good meals, before a leisurely walk back to the Marina. The hospitality of coffee at "Fidget," finished the day, just perfectly. A quality day that all of the participant enjoyed. Unfortunately, due to adverse weather MYC, Barmouth have had to cancel their cruise. Hopefully this Multi Club Social Cruise can be re-arranged in the near future. Information included in this web site is for guidence only. High tide is around 09.50Hrs on the Saturday 11thMay so Barmouth boats should be able to leave from about 7.00Hrs until about 12.30Hrs. Arrive lunchtime/early afternoon, then during the evening, have a BBQ on the beach, people bring their own BBQ’s if they have onto the beach and cook, others that do not have BBQ’s can share space, and also open a few wines and beers…. For Barmouth boats to leave Criccieth at about 09.00Hrs on the Sunday 12th May to head back in time to catch the tide to enter Barmouth. Boats from Barmouth and Pwllheli with sail to Criccieth . Hoping for some nice weather on Spring Bank Holiday for us to join together for an informal Barbeque at 'home base' in the area of Pwllheli Marina, Abererch Beach, i.e. within walking distance. Which part of the beach will be announced on the day (sheltering from the wind). This is a time to............'CHILL OUT'!!! What a scenery on our door step! This arrangement will allow everyone to go sailing as they please during this weekend, with family etc, and hopefully join for a social. This has been arranged as 'just a social,' not an official cruise for the month. What do we do if the weather is unfavourable? We can, of course, meet at the Sailing Club. Blessed with beautiful weather to appreciate our wonderful surroundings. 57 participants enjoyed barbequing on the beach. Great company, an evening to remember. Hopefully, the weather will be kind to us again to enjoy another BBQ on Abererch beach. Another "Impromptu Cruise, "this time to Ireland. 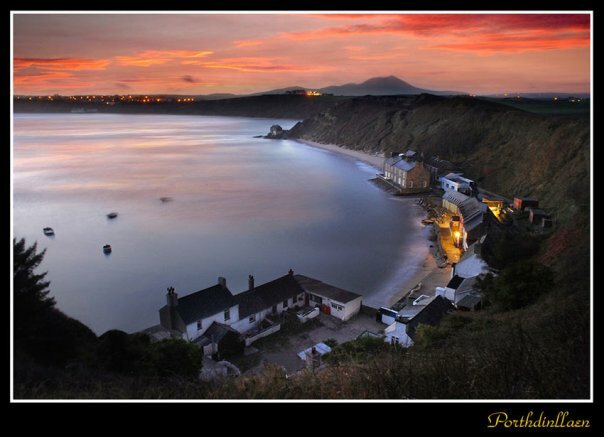 A different port per night, Howth, Malahide, Greystones and the return to Pwllheli. What a delight in beautiful weather and great company. 'Pucabin' a Westerly Fulmar with skipper Gary, and Bernard as crew,not only sailed with us on route but were at Howth Marina to welcome us over the Irish sea. Malahide Yacht Club also warmheartedly welcomed us, old and new friends having a great time together. The new Marina in Greystones, which only opened a few months ago, gave us such a warm reception. (A Marina, accessible at all states of the tide, and is a shorter crossing from Pwllheli to Ireland than other marinas). Although, at present there are temporary mobile showering facilities, they were well cared for and we look forward to the development in the future. The marina is so close to the town, within a short walking distance, which is also an attraction. All boats that cruised on this occasion look forward to a return journey here a.s.a.p. Note: Picture (directly above) at the new marina at Greystones, Ireland. We returned to Pwllheli to be welcomed by brilliant sunshine once more, beaming smiles all around as many berth holders had been able to take advantage of the weather and visited the beautiful bays surrounding Pwllheli. Early start to be welcomed by wall to wall sunshine, flat seas and periodically beautiful sailing, especially after going through the East Passage. Lovely to see the dolphins accompanying us on the journey. Who needs to be in the Med on days like this. The yacht sailors were joined by R+B - usually using Park and Launch at Pwllheli. R + B were averaging above 20knts or so, so they didn't need to start as early as the sailing boats but we all met up at the destination. This is what Cruising is all about. There was a nice breeze on Saturday, Bohdan, Elin, from French Maid (Pwllheli) now at University and Dan came out for a sail in Cardigan Bay with us. Also accompanied by Stephen, who is wheelchair bound. Although having been on a Tall Ship, this was his first experience of sailing on a modest sailing boat. He was totally exhilarated by the experience. It's great when sailing can be made accessible to ALL. Our return journey, on a mirror like sea, was just pure enjoyment. As soon as a breath of air was evident the sails went up. A great sail back to Pwllheli. Pererin and Enfys also went to visit Porthmadog, they were made very welcomed and had a most enjoyable few days. Enjoying a leisurely sail across Tremadog Bay in brilliant sunshine. They meandered up the Glaslyn Estuary under clear blue sky admiring the stunning beauty of the coastline and beaches against the backdrop of the Snowdonia mountains to arrive at the club pontoons. They were greeted at the pontoons by the club’s bosun, whose assistance in tying up was greatly appreciated. The welcome extended to them by the Madoc Yacht Club was as warm and enthusiastic as ever and the evening meal at the Thai Harbwr Restaurant was excellent. Please Read the Cruising/Motor Event Disclaimer found on the Cruising web Site. Due to this stable High Pressure coming our way, a Cruise to Ireland is on the agenda for this Saturday. Our initial stop will be Greystones - 52 miles from Bardsey. (Total distance from Pwllheli 69miles.) Cruise members will then decide where we sail to from there. Approx start from the marina, for sailing boats, will be 6.00 a.m. at the harbour entrance,to enable us to go through Bardsey at the right time. Motor boats will be different according to their average speed. If you are intending on joining us, please let us know, as we have made arrangements with the Marinas for discounted prices and would like you also to gain from this. The operative channel for the Cruise will be VHF Chanel 8 and 16. ANY CHANGES WILL BE ANNOUNCED ON THE CLUB WEBSITE- CRUISING SECTION. An early start from Pwllheli to calm waters, no wind. However, a good sailing breeze was welcomed and just awesome sailing. Congratulations to Paul 'Sandpiper' for his Irish Sea crossing singlehanded, no mean feat. Underpower, the motor yacht Papajena reached Greystones in FINE STYLE. The Impromptu Cruise has been a great success, eight boats in all, making new friends, new achievements, and not to forget amazing wall to wall sunshine which makes all the difference. Due to commitments, certain boats had to return to Pwllheli after the weekend. but boats also continued to Malahide. Glad that 'Concerto'also managed to join at Greystones mid week. "The Marina and hospitality of the town was out of this world. The food was stunning at 'Hungry Monk'and the Italian 'Bachellis.'" "The overall experience from the Marina Manager welcoming us , the coursciousness of all concerned inc. the welcoming experience in the restaurants." "Ease of travel to Dublin, accessibility of everything. A good base an ideal starting location. Certainly somewhere to come again." "Firstly, the sense of contentment due to the company made you feel part of a very lucky group of people. " "Paul accompanying us on Papajena, as an extra pair of hands, crossing the Irish sea made a difference 'A great success.'" Tina Maria, Alan and Gresham indulged, as they say, in the biggest breakfast,in the Cafe close to the Marina. Mair and Dic on Concerto will be returning a.s.a.p to Greystones as their experience was such an enjoyable one. The hill walk was a real challenge in the soaring heat, but some were fitter than others. The beach was also an attraction and one or two were brave enough to go for a swim. Some boats were leaving on Monday so Sunday night was spent having a few drinks together in the Beach House Public House before everyone went on to their different destinations. Our Malahide experience was outstanding, yet again. The Malahide YC making us welcomed using the Picnic Area at the Marina, where a BBQ could also be provided by the Marina. A wonderful afternoon eating away overlooking the Marina - what an unique attraction. That evening we were escorted by Howth Members to a BBQ evening. The Irish giving us a top class welcome as usual. Malahide town is so accessible from the marina and plenty of eateries covering all tastes not to mention the Restaurant placed overlooking the Marina. All provisions are available in the town. Beautiful walks to the well known Malahide Castle and also round the lake where most of the dingy sailing takes place. Overlooking the Marina you find a fitness suite, ideal if you wanted to burn some calories after overindulging. No takers from the Cruisers on this occasion however. We were warmly welcomed by the Malahide Marina Manager on our departure and we expressed our thanks for a fantastic stay. "We shall be returning a.s.a.p". A GREAT Marina to visit on this part of the coast. A real wonderful experience in a picturesque setting. Go through Bardsey sound at 08:00a.m to catch the last of the northerly flow . This means that the rest of the journey will be against the neap tide and of course an early start from Pwllheli is required at 05:00am. Advantage of option one is that it should be possible to select a good spot to anchor before things get busy later on that day. 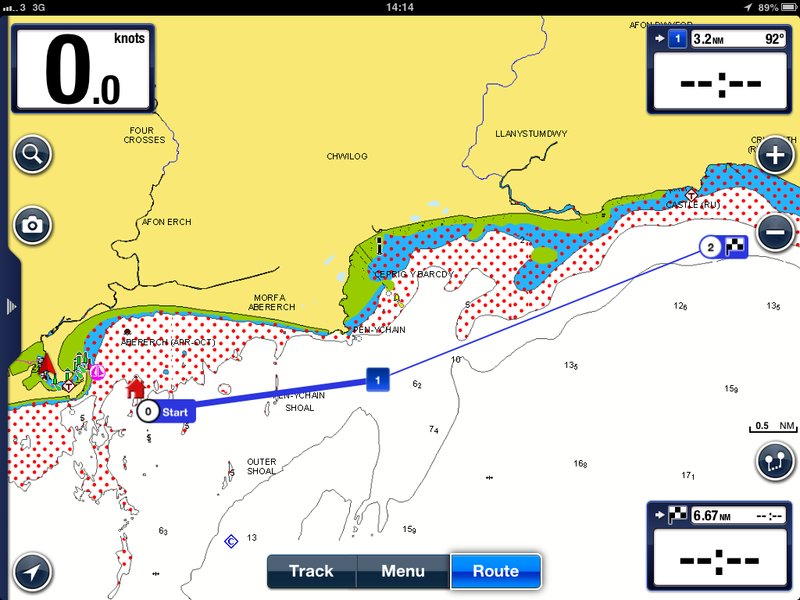 To go through Bardsey at 16:00 with the northerly tide with you all the way to Porthdinllaen . This will mean arriving later and of course the anchorage will be busier. 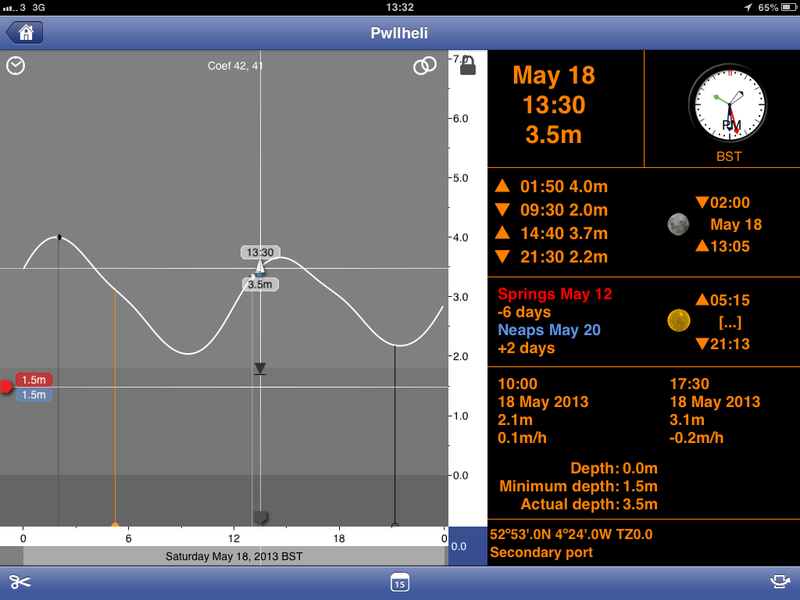 Forecast winds Northerly F2 so may be some swell but veering to easterlies overnight which should calm things down! 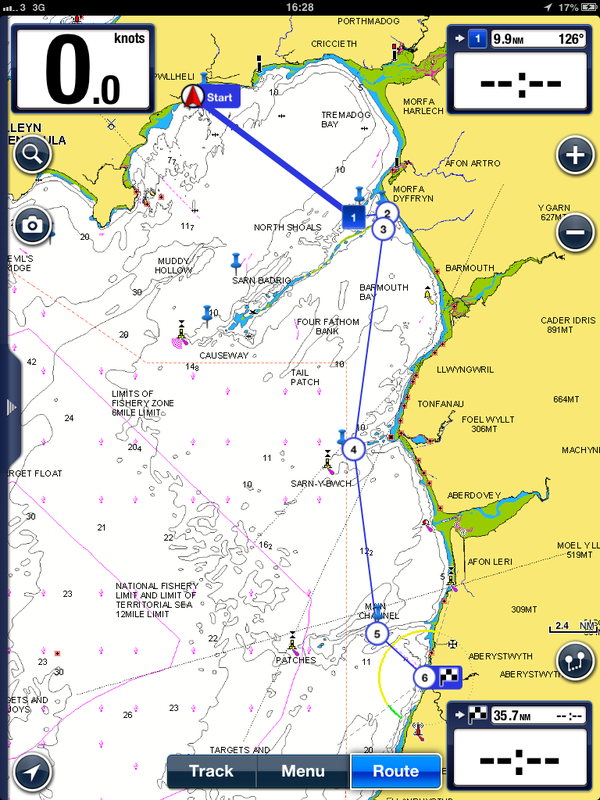 There are some boats from Porthdinorwic coming to meet us, and the challenge is to empty their so called "funboxes"
Participants are reminded that it is there responsibility to check their own navigation and tidal data . Please check the Cruising section Disclaimer. Porthdinllaen Cruise organised by Mark and Jo, Aquaplane. Following our pre- cruise meeting, some took the first option which was an early start, and others took their preferred option of a later start OR timed their start to suit their own personal choice. Our journeys varied but all eight boats arrived safely to welcoming sunshine. A rendezvous of rafting tenders on the beach to socialise upon arrival was unique and very enjoyable.Ty Coch with their afternoon and evening music added to the atmosphere and their BBQ was also mouth watering. The beach with the hustle and bustle of all ages enjoying themselves was a wonderful sight. The return journey was an exciting one from menacing waves and excillerating sailing to a pretty choppy sea at times and the lobster pots seemed to have multiplied over night. When arriving at St. Tudwals Islands, the wind disappeared with flat sea's which gave a calming end to a great Cruise. It was wonderful to see the first organiser of the Cruising, Alan (Tina Maria) still participating so many years later also Brian (Supertramp) who has been active in organising Cruises for over 13 years as well as new volunteers that have recently joined the Cruising section ALL socialising on the 'Tender Raft Up' on the beach. A moment to remember. The last three cruises have involved different destinations, close and further afield, with different participants, but the common factor is : Wherever we are, motor or sail, we have a Cruise in company and certainly have an enjoyable time at our destinations socialising with a Cruising Club atmosphere discussing our adventures on the water. Aberystwyth was the destination on this last minute Impromptu Cruise when five boats had a beautiful time on the water with a glorious backdrop of the hills and beaches in the distance. A'We're Here' get together in soaring heat with several styles of shades being used to give us protection from the heat. Finishing the evening, all joining in an evening meal at 'Little Italy' Italian restaurant. Three glorious days. Aquaplane returned 'solo' after one day to prepare for the Porthdinllaen Cruise. Dream Catcher took the lead on the return journey. A majestic sail to end three enjoyable days, timing our return journey to enter the harbour at Pwllheli. Porthmadog alternative cruise  (  BY TRAIN  ) Instead of SCYC,Abersoch. This change is due to weather conditions (see below). Meeting at PSC 7pm, Friday the 2nd, to discuss this alternative day. The intention is to visit Madoc Yacht Club and have lunch at either "The Ship" or "The Local Bistro Restaurant" - personal choice, as always. Hope you are able to join us on this Train Cruise. 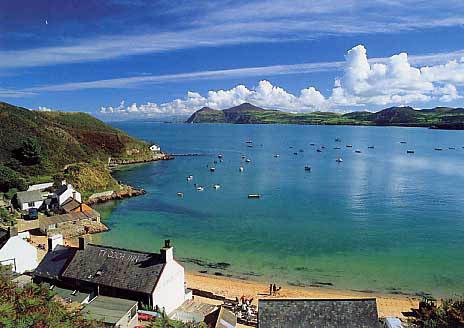 Arrival at Abersoch between 12 pm and 1pm with the intention of going to SCYC for lunch/drink/chat. SCYC provides a water taxi to the Club. You may contact on VHF Chanel 37 or M1. 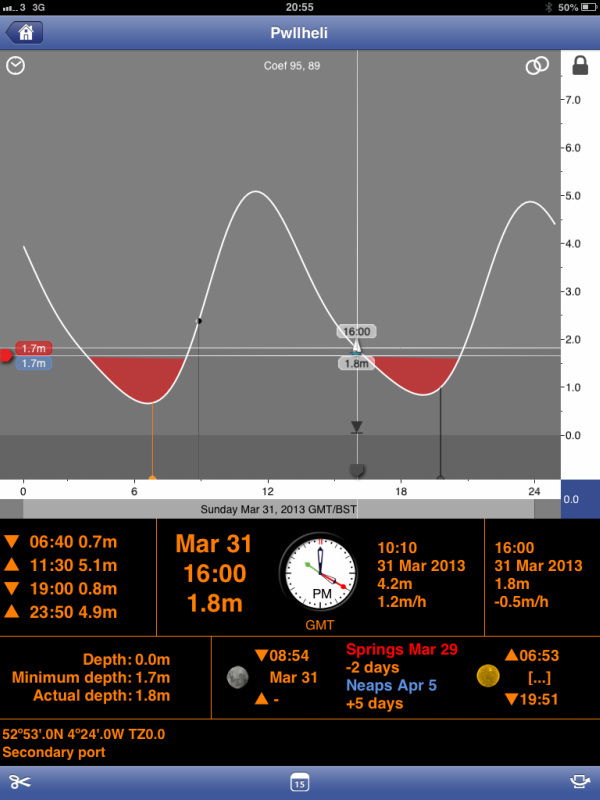 Please refer to Pwllheli Tidal Information below. Please check out the Cruising Section Disclaimer. Although enhanced interest had been shown in the organised Cruise to Abersoch for lunch, an opportunity for Motor and Sail to socialise together. Unfortunately, it wasn't to be, due to the winds forecasted. However, Nan and Paul "Fidget" put their thinking hats on to organise an alternative cruise, all be it by train, to Porthmadog. An opportunity for everyone to socialise without depending on the forecast. A lunch at 'The Ship' was followed by a visit to 'Madoc Yacht Club.' All enjoying the welcoming atmosphere and as it turned out basking in sunshine on the picnic tables overlooking the beautiful scenery of the harbour with the backdrop of Snowdonia mountains. Some needed retail therapy, so something to please all, so to speak. Returning to Pwllheli and ending the day with a 'night cap' and a meal at Pwllheli Sailing Club. A fun day, only to be repeated in the future. An Adhoc cruise to SCYC, Abersoch on the 10th of August to join Richard Smith, who was an official at the Abersoch Regatta. Three motoryachts and five sailing yachts from Pwllheli anchored and indulged with food and drink at SCYC overlooking the bay bathed in sunshine. A most enjoyable afternoon. Nan and Paul "Fidget" joining "Pererin" fora sail. Although a good time was had, not sure that they were converted though to sail rather than power!!!!!!! Time will tell. Due to potential bad weather this weekend cruise has now been cancelled. 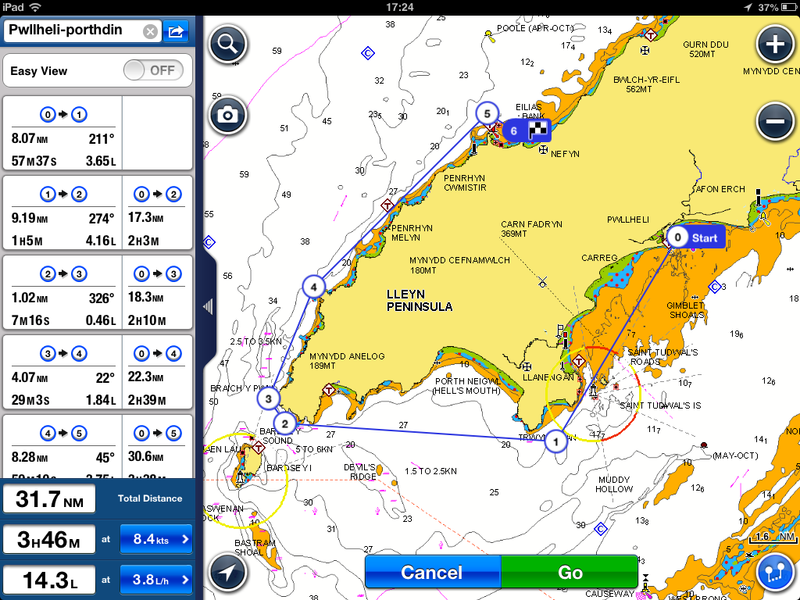 The aim is to leave Pwllheli at 10 a.m. on Saturday the 17th. Arriving at Victoria Dock 7 .30p.m. -7.45p.m. A "Get Together" after our arrival at Victoria to be arranged nearer the date. RETURN Option 1 : Sunday the 18th. If you are chosing Option 2 - a Sunday Lunch will be explored. Bring your walking shoes if you fancy a coastal walk to Felinheli. This Saturday, the 17th we were supporting our local ' Glasfryn Parc' due to the Cruise to Caernarfon being cancelled. A real disappointment of having to cancel the Cruise to Caernarfon due to the weather, but we can't complain as we have been blessed with beautiful weather this year and many cruises taken place. We'll try again in the spring. As always, a social gathering was arranged and on this occasion an alternative day at Glasfryn, Ten Pin Bowling, wowee! Twenty cruisers came by Mini Bus or cars and "Yes" , it was busy, busy, busy, but the Cruising Club were ready to fire. Mmmm!!!! Some said that they were 'not' competitive but 'action speaks louder than words guys!' When individuals got a 'strike' it was as if they had won the lottery, jumping with joy. However, 'the Gutter' was more than popular and brought us down to earth, so to speak. Mind you the "Air Football" was gushing with volunteers and could have gone on for hours if it wasn't for the arrival of the minibus to take us back. After two hours among good company and plenty of laughs we returned to finish the evening at Pwllheli Sailing Club. Rib Cruise and Dining in Style. The day began with complementary tea and coffee at Pink Palace, Port Dinorwic. Richard Williams and the group had a chat, discussed charts and passage plan making through The Swellies. Now kitted out as if we were going to cross the Atlantic, a couple in illuminous gear to ensure that 'if there was a man overboard situation' they would definitely be seen, (even from Space )!!! This led us to a gripping, excilerating Rib ride on the Straights to investigate the hazards that we most certainly need to respect. Richard Williams was very informative and our knowledge was definitely extended. A very pleasurable experience and although the rain pelted us like 'sand blast' -hey! this added to the fun and we 'could take it.' However, I regretted making comment about Jo's glasses saying that they 'made her look like an alien '- but she was on this occasion -'the wise guy', as NEXT TIME I will also have some. We also learnt that Steve, Mr P, has good catching skills when Carol decided to throw him the camera from one end of the pontoon to the next- a sigh of relief, by all, when Steve made the magnificent catch, so we do have pics to share, thank goodness. As we now had a couple of hours to wait for 'low water' , a bit of warmth, dry clothes was called for and comfy chairs with a welcoming drink. When the time was right, we visited the Menai Straights by car and stopped where we could see the hazards looming out of the water. This encapsulated the whole experience in your mind. We were all now ravenous. Garddfon Bistro was as inviting as ever. An outstanding meal, fun and laughter in good company. It was a pleasure to have with us friends from Port Dinorwic also dining and discussing co cruising next year. Before calling it a day, 'a night cap' at our Sailing Club to 'wrap up' a Great Day. On Thurs. 6th of June 2013 Kirk( Three Cheers), Rod (Dreamcatcher) and myself, Paul(Sandpiper) set sail in Kirks 54ft hammerhead trimaran "Three Cheers" an American designed missile!, for the Scottish isles. Our itinerary was to cruise the waters covered by the excellent Clyde Cruising Club guide 'Mull of Kintyre" to Ardmaruchan point. Courtesy of Dave Dewsbury. The boat is 34' wide so cannot easily negotiate small Scottish marinas so anchoring was our intention whenever possible - and highly recommended! The entire 14 day trip was blessed with sunny days and light winds providing ideal cruising conditions. Three cheers will sail at 26 knts in the right conditions, creating a whistle-stop tour if necessary! Two overnight anchorages, in Burren Cove,Lambay Island. and Chapel bay, Copeland Island, off NE Ireland saw us leaving early to avoid any adverse tides en route for the W. coast of the Mull of Kintyre, finally anchoring in W.Loch Tarbert, a must see location. Crossing the Sound of Jura took us to Loch Tarbert on the Is. of Jura, heading for the stunning inner loch following several, essential sets of leading lines. If you like isolation, this is Utopia! Next day, our windiest at SE 5-6, saw us rocketing past everyone up the W coast of Colonsay at a leisurely 18 knts? bound for the treacherous Gulf of Corryvreckan boasting the worlds 2nd biggest whirlpool and a standing wave of a meagre 8 metres! Well it would have been rude not to! Despite arriving 1 hr early, (I wonder why)? and deciding to go through against the last hour of adverse tide, we still had 6 knts against us and gained absolutely nothing timewise but it was well worth the experience of a watery waltzer ride! A short jolt took us into L. Melfort where we unwittingly entertained the locals over a wonderful supper of local Haddock and Chips, washed down with a bottle of refreshing local spring water. Day 10 we fetched the Sound of Luing, past Fladda Is. for the rarely visited Loch Spelve, Is. of Mull. Very, very deep with little to offer by way of anchorages and had there been a close alternative we would have taken it! Alas there was'nt. Dunstfaffnage, a location where you can spot amongst other things, people dressed in strange outfits hitting and then losing little white balls with sticks, finding them, then hitting them again only to lose them again? Later we discovered they even have to pay large sums of money to do it! two nights, pretending to celebrate the memory of William Wilberforce and Bonny prince Charlie! The return trip was interrupted with a planned overnight stay at Ardminish bay on Ghiga Is. Kirk,who is Bermudan compared the island to his homeland with its turquoise seas and pure white sands. The island has just one pub/hotel to accommodate its 150 inhabitants and we could only find one thing wrong with it, They don't sell Haddock and Chips! We learnt a lot during the trip about do,s and don't,s etc. Anyone wanting any advise feel free to get in contact via the cruising club, many thanks, Three men in a boat, next jaunt, Falmouth and SW Peninsula. OR JUST COME FOR THE SOCIAL SIDE. Cruising Meeting and Boat to Boat " Wash Up"
A delight seeing such support for the Cruising Meeting where 62 cruisers attended, both sailing and motor yachts. Phil Ranner led the meeting in his usual grand style. It gives us great motivation to look forward to our next season both for Cruising and our landbased events. We value the support that everyone has given to the 'Cruising Section' this year. Following the meeting 48 took part in the 'Wash Up' of going from boat to boat. Eight host boats started, Three Cheers, Concerto, Tilia, Supertramp, Sea Otter, Blue Jay, Imladris and Bull Dog and some followed on to Chloe K and Chill Out. Some Dancing the night away and 'chilling'. Great fun had by all. It was wonderful to see new faces joining in the 'merryment' of the evening. Those who did not qualify for "Strictly Come Dancing"
End of season meeting and social, which was held on 26th October 2013 in the club house, followed by boat parties on the marina. Members and guests were invited to our end of season meeting and to have a drink of wine. The upstairs room in the club house was packed, the chairs were all taken, the standing room was full and there were members listening from the corridor. There were 60 plus members attending the meeting. It was good to have such a mix of power and sail boaters. Phil Ranner who has been chairman of the cruising subcommittee for some years led the meeting. What a difference since this time last year. The cruising section of the club had stagnated and was in danger of being paused for a period. We approached other local clubs and organisations in an attempt to reach out to others and improve cooperation. We had a new start and we have had a very successful season. Even the weather was better. Bohdan agreed to be the overall leader of the cruising programme and several members volunteered to lead an event. Cruises were planned throughout the season and when the weather was not suitable for the cruise an alternative social event was substituted. In addition several ad hoc cruises took place and in many ways these were the most successful. The RYA has been promoting its Active Marina project and to a large extend this group has similar aims. We already conform to many of the Active Marina requirements and we will continue to monitor it. 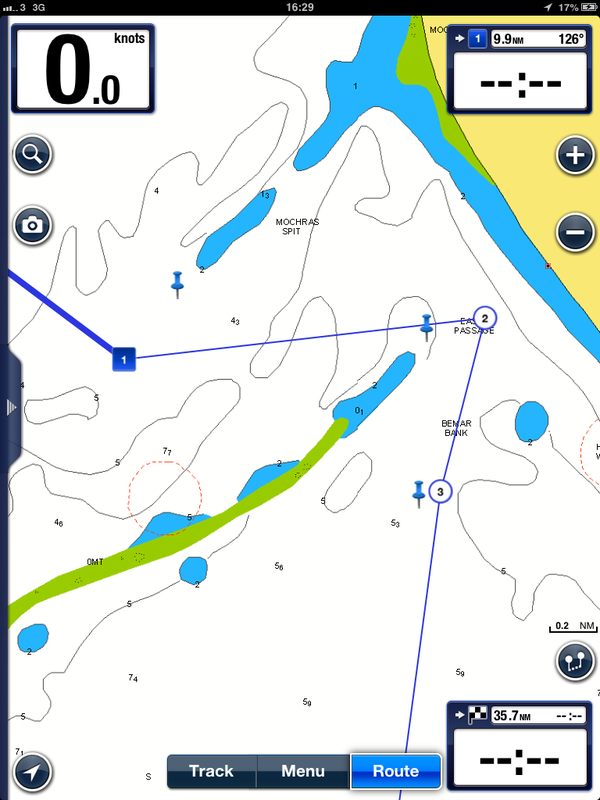 The RIB trip through the Menai Straits to identify the hazards is an example of enjoyable education. Richard Smith – a decanter to help prevent another batch of wine going off, and another decanter to check a sample of fuel for gunge and water . The so called “Pillocks Pot” was discussed. It was last awarded to a fellow cruiser for going aground and we are waiting for the holder to nominate a new recipient. Dave Dewsbury outlined the role of the Pwllheli Mooring and Berth Holders Association. 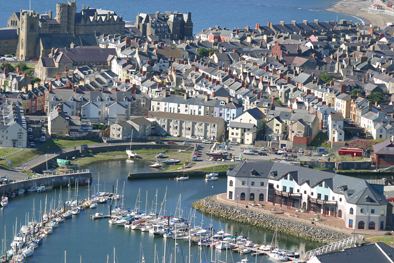 The association represents marina and harbour berth holders in discussions with the Maritime Department of Gwynedd Council. Discussions include berthing charges and facilities. The strength of the PMBHA is in the number of members. At present it represents about half of harbour users. Anyone not already a member is encouraged to join at £5 per year. It was stressed that this was a meeting of the sailing club’s cruising section but that PMBHA members had been invited to join in the cruising events during 2013 and that it was intended to extend these invitations to the 2014 events. The association has a notice board on the south end of the marina building. It would be good to have new members (power and sail) on the clubs cruising subcommittee. If you would like to become involved please approach Bhodan or Ruth. Flare disposal. The Marina office has kindly agreed to dispose of any out of date flares. Cruising trophies will be presented at the CHPSC Christmas ball. These are the Gimblet Rock Trophy and the Passage cup. They are awarded to someone who has had a significant passage or other significant cruising event during the year. We don’t hear about all of these happenings and rely upon feedback from you all so PLEASE TELL US when you learn of deserving cases. Some years back I gave thought to the relationships between the various clubs situated in Tremadoc Bay and the lack of any competition to bring us all together occasionally. Through racing and other social events I established contacts at both Portmadog clubs and viz the Pandora Nationals contacts at South Caernafon Yacht Club. The Triangle event ceased some time ago and I believed there was a place within the sailing programmes of the Tremadoc Bay clubs for an inter club event. I organised such an event and the inaugural race took place on Saturday 7th SEPTEMBER 2002. During my time as Commodore of LPYC, in 2000, our Handicapping Officer, Eric Tutton passed away at the ripe old age of 89 years. Eric was a founder member of LPYC and a past President of Portmadoc Sailing Club. of our long bay races. to perpetuate his association with Cardigan Bay, and reintroduced Inter Club Racing. and raced Marcus, a MacWester 26 I knew only too well the despair at the back of the fleet!! RULES :  Each club can enter as many yachts as they like. The first three yachts from that club based on the handicap system counts as that clubs 'team'. All the yachts in the fleet are awarded points the first boat gets 3/4 of a point, second 2 points etc. The club with the lowest points total wins. As you can see the more boats a club fields the more chance to push other competing boats towards the back of the fleet, so increasing that other clubs total points. sometimes by a very small margin, and this year they have asked to be relieved of the organisational responsibility hence my involvement and this article. hopefully see a fleet of at least 21 yachts on the start line. My intention is also to have a full days sailing on a course designed to take in as many as possible of the participating clubs start lines, making the event more a passage than a race round the cans. Leading up to New Year's Eve, we had a few challenging experiences to overcome, to ensure that this evening was allowed to take place. The removal of the small marquee due to bad weather meant that the whole event had to be held in the main building. A great team effort of staff and member volunteers ensured that nothing faced us. Due to their efforts a great night was had by all. A 'full house' welcoming 2014.